It’s never easy being a parent, but you will never understand how hard that is unless you become a parent yourself! 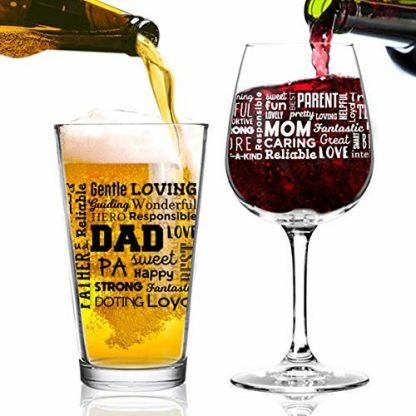 For the meantime, why not surprise moms and dads with this premium pint and wine glass? 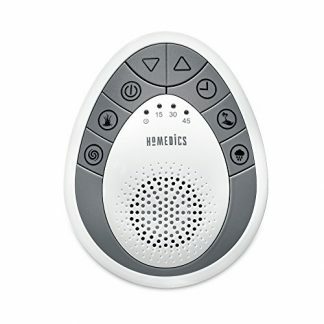 They will surely find this delightful and useful. You never know when they can (or could) take a break from the parent life, right? Parenting is not easy. Caring for babies, kids, and even teenagers can easily rip the hair out of anyone. But all the hardships, sacrifices, rewarding and precious moments of being a parent cannot be really felt – until you become one yourself! Parents, like any other adult, deserve to chill from time to time too! 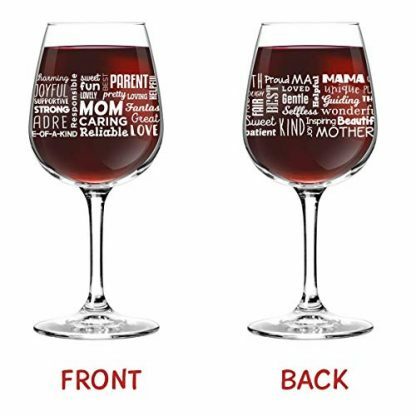 So why not surprise your folks with this wine and glass set that they can use for moments of celebration, frustration, or for any other chill break that they’d like to take. 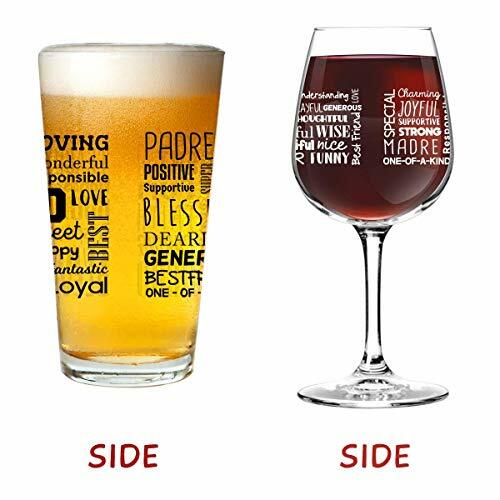 BEER AND WINE GLASS SET – Each order comes with a 16-oz. 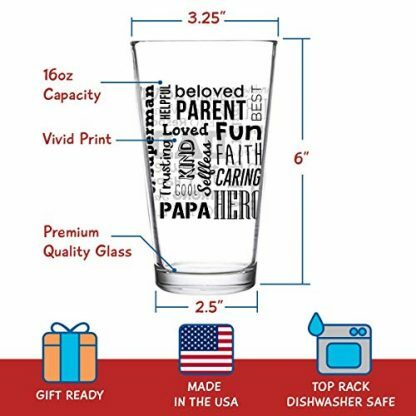 pint Dad beer glass and a 12.75-oz. 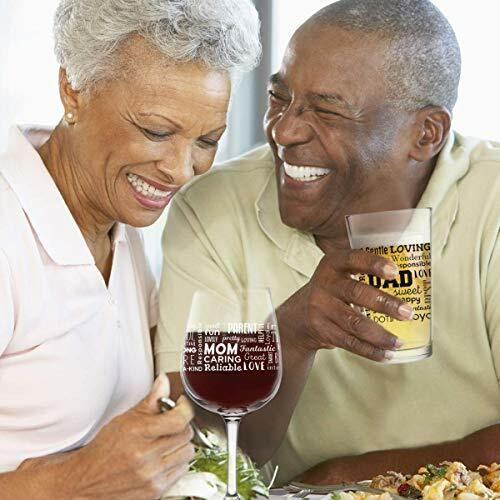 stemmed Mom wine glass securely packaged to give each parent the best cup for beer or cocktails. INSPIRING AND LOVING WORDS – Both glasses are decorated front and back in beautiful words that describe parents, such as caring, reliable, teacher, funny, sweet, strong, and more. Made and printed in the USA with vivid white print front and back. Glassware is dishwasher safe and feature a chip-resistant edge. 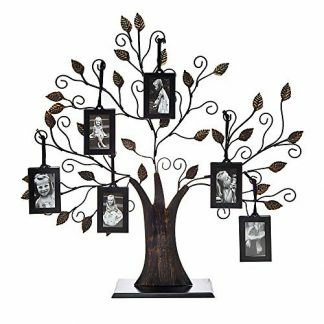 Have your mom and dad celebrate life together. 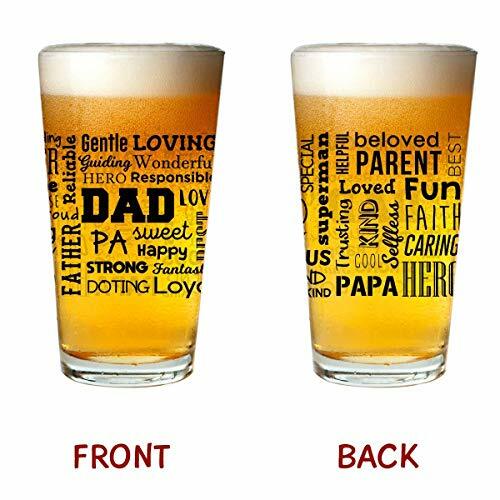 Beer for Dad. 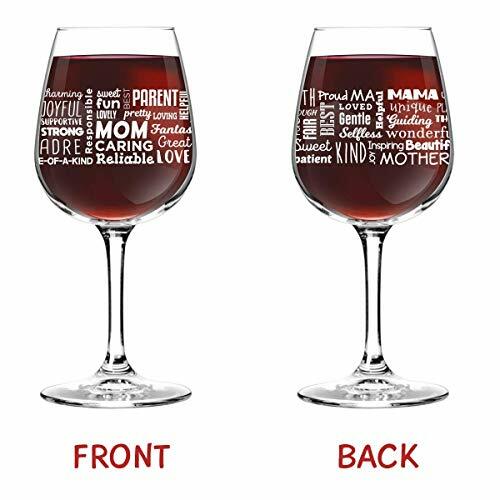 Wine for Mom. These glasses are designed as a way to express gratitude to your devoted parents. This beer glass and wine glass set feature loving messages to remind them what they mean to you. 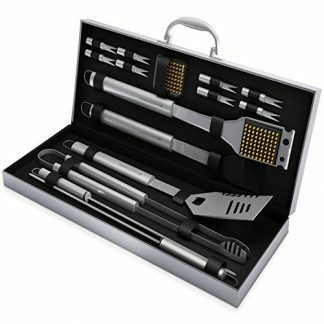 This is the perfect choice for sons or daughters to give their parents on their anniversary or as a Christmas gift. Each glass set is carefully packaged for safety and easy gift giving. Your parents have been there to support you, inspire you, and keep you on the path to success. 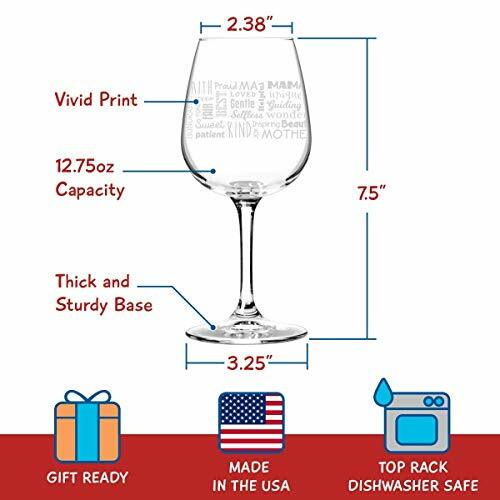 And now you get to say thanks with a premium wine and beer glass set. Remind your parents that their hard work and sacrifices paid off – and that they can finally take it easy now that you are ready to take on the real world yourself!